So You Think You Can Mom? : Westfield Family: Zingy Dog Valet at Westfield Topanga! Westfield Family: Zingy Dog Valet at Westfield Topanga! Zingy is a new dog walking app that has partnered with Westfield Corporation to bring dog valet stands to Westfield shopping centers throughout Los Angeles. 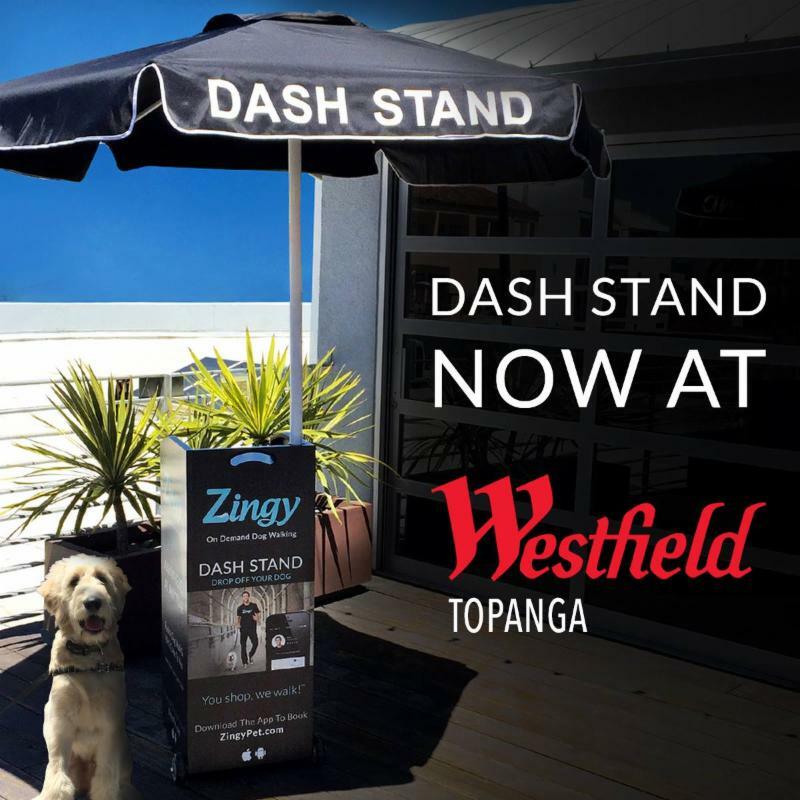 Beginning with Westfield Topanga, Zingy's plan is to rollout permanent DASH Stands at all Southern California Westfield Shopping Centers, expanding to a national footprint next year. To book a walk from a DASH Stand, shoppers simply download the free Zingy app, available in both the iTunes and Google Play app stores, enter their dog's information, and visit the DASH location for drop-off to a trained, trusted and educated walker for a 15, 30, 45 or 60-minute walk. Walks start from just $10, and once complete, owners can pick up their furry friend from the DASH Stand. Walks continue until the owner returns, so if lunch runs late, pets will remain in safe and loving hands with Zingy. During a Zingy dog walk, owners receive real-time notifications, can monitor the walk live, and receive a care note and photo at the end. Pet owners can also take the service with them and book an on-demand dog walk from anywhere, at anytime. Visit http://www.ZingyPet.com for more information. If you frequent Westfield Topanga, the DASH stand is located downstairs next to the Auto Spa and Valet services!